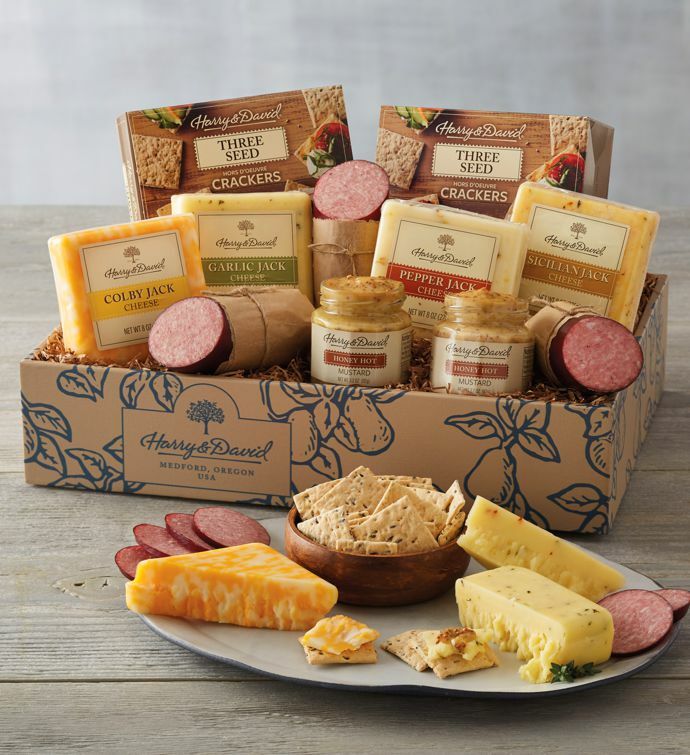 Our Grand Meat and Cheese Gift Box features a carefully curated selection of premium savory treats. It offers four gourmet cheeses, including varieties like Sicilian, Colby Jack cheese, pepper Jack, and garlic Jack cheeses along with specialty meats like hickory-smoked summer sausage. This gourmet food gift makes a great impression at gatherings large and small.